Abandoned Epcot Pavilions No More! Disney announced plans to revitalize the defunct Wonders of Life pavilion which has sat abandoned since 2007. The new pavilion will feature interactive experiences, Disney characters, and entertainment under the theme of a futuristic city. The opening date will be prior to Epcot’s 50th anniversary. The former Odyssey pavilion will soon be transformed into a preview hub called, “Experience Center” where models of Epcot’s transformation project can be viewed through interactive exhibits. Conceptual plans for a new Epcot entrance. Disney is also changing the way you enter Epcot with new pathways, new gardens, and a new fountain that looks more like the original fountain from the 1980s with a crystal sculpture in the center. 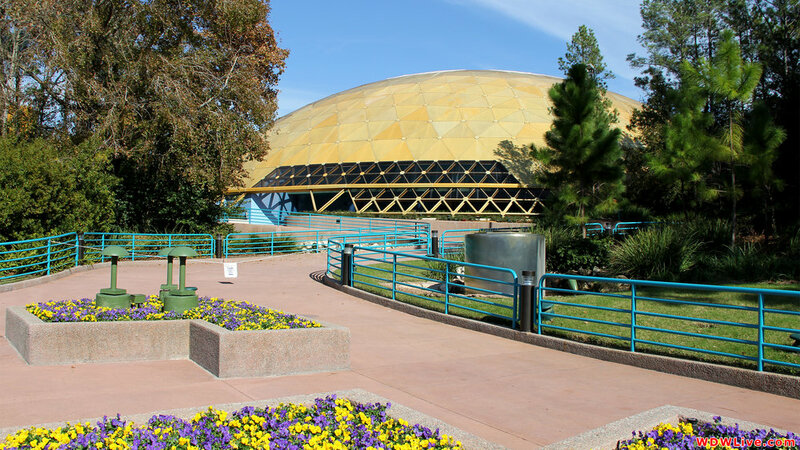 In fact, the inspiration for the new entrance pays homage to the original design of Epcot’s entrance in general. The Leave A Legacy monuments will be moved outside the park’s entrance. I always thought it looked like a cemetery so I’m very excited about that. A new play area will be built in the former Wonders of Life pavilion. Effective Nov. 4, 2016 on the Disney Dream and Nov. 5 on the Disney Fantasy, the price of Remy will increase from $85 per person to $95 per person for dinner, from $55 per person to $60 per person for brunch and from $50 per person to $55 per person for dessert offering.